Sweet film with a sweet cast. 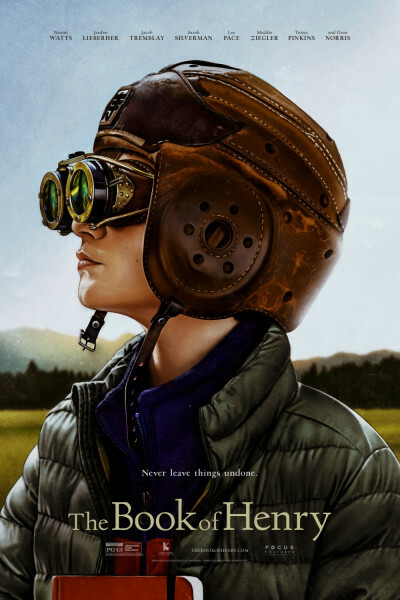 Jaeden Lieberher from St. Vincent and Midnight Special is his usual, quirky self, but it's Room's Jacob Tremblay that I could eat up with a spoon and a side of ice cream. He's adorable, and understated here, too, as he should be. Sia's music video dancing muse, Maddie Ziegler, seems great, but she doesn't get much time to shine. She reminds me a bit of My Girl's Anna Chlumsky. Beautiful, but also a bit inaccessible. Time will tell if there's anything going on behind those eyes. On the whole, we enjoyed it. It was a good choice for Father's Day. The film itself is rather flat, but I always relish hugs from my girls.